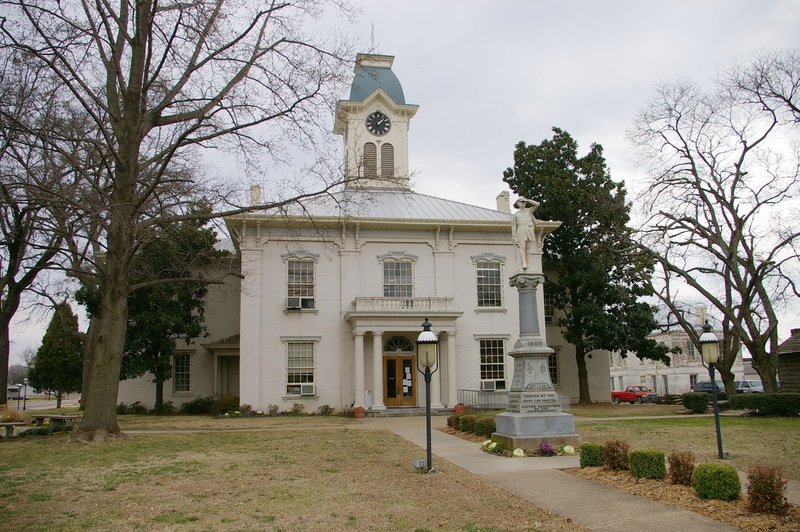 Crawford County is named for William H Crawford, who was Secretary of the Treasury and Secretary of War. Description: The building faces northwest and is a two story buff colored brick structure. The northwest front has a small portico supported by four columns rising to a balcony on the second story. There is a wide over hanging eave with sloped roof to a square wood cupola with clock at the top. There are north and south wings and an east wing. A fire destroyed the interior of the building on March 23, 1877. There were four standing walls and the building was rebuilt by contractor M W Drewery with the addition to the original building of the north and south wings. The architect was F Adams. An addition was constructed in 1906. The architect was Frank W Gibbs and the contractor was Waddell & Harrington. In 1940, the building was remodeled and a new wing was added on the southeast side. 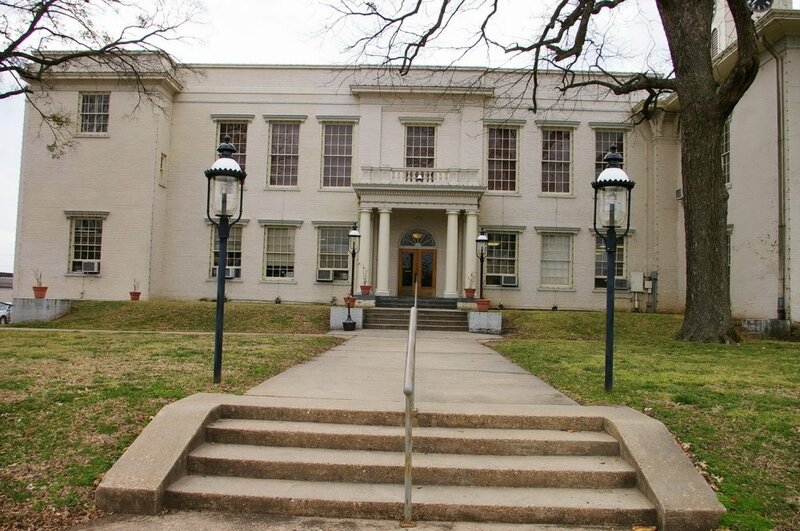 The architect was Bassham and Wheller of Fort Smith and the contractor was The Hardy Brothers Construction Company of Texarkana. 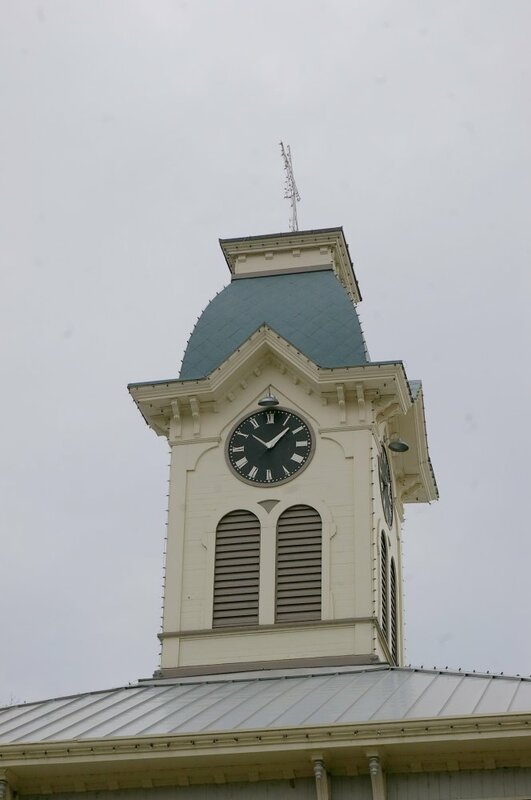 Note: On September 8, 1841, notice was published seeking bids for construction of the courthouse. There is no record of the name of the successful bidder as all records were destroyed in the 1877 fire. 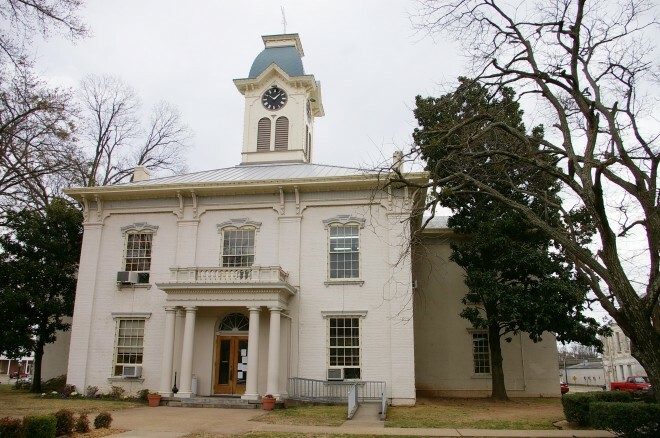 Note: On condition that the Crawford County Court House be permanently ocated in Van Buren as the county seat, John Drennen and David Thompson donated a public square in the center of the town in 1841-1842. 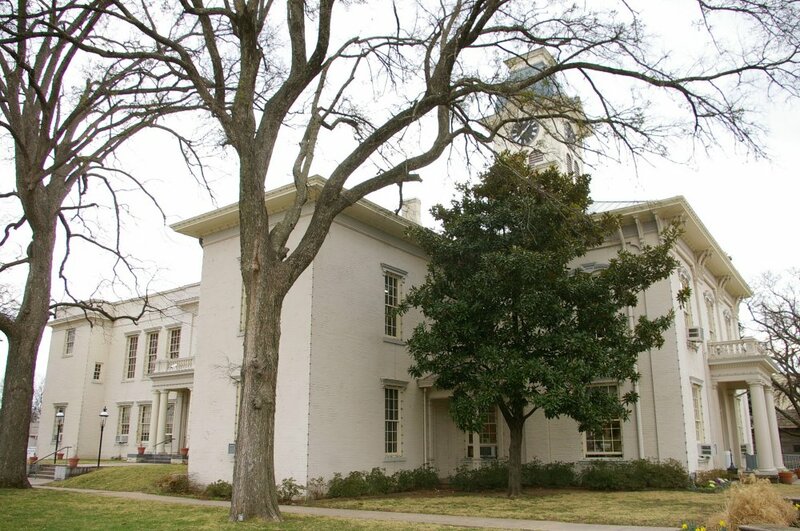 The building is the oldest courthouse west of the Mississippi River.